September 2018 began for me with a trip to Windsor Park to see Linfield take on Ards on the first day of the month, for a match that finished 0-0. The following day, I headed out on bike to check out the latest scribbles on the Belfast Peace Wall. On the third day of the month, yes, three successive days of photo adventures, I headed to The Limelight to see The Kooks in concert. The following weekend, it was a football double header, taking in Linfield’s trip to Warrenpoint Town, and then Northern Ireland’s first ever UEFA Nations League match, at home to Bosnia-Herzegovina. There was more football, taking in Linfield’s matches against Dungannon Swifts and Coleraine. Sandwiched inbetween that was a trip to The Palm House to see Kyle Falconer in concert, and then Belfast Culture Night. In the aftermath of Culture Night, I was out getting photos of new Street Art which appeared in Belfast, as part of Hit The North. The month ended with me taking in Linfield’s home match with Ballymena United. 2018 was supposed to start for me heading to Coleraine, but the weather saw Linfield’s match on New Year’s Day postponed. 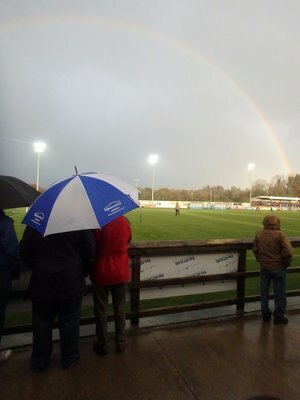 I had to wait a week for a photo adventure, heading to a very wet Carrick to see Linfield grind out a 1-0 win. A week and a bit later, it was my first visit of the year to Windsor Park, to see Linfield take on Glenavon. The following weekend, I headed to London. Unsurprisingly, I was out with my camera, capturing a lot of Street Art, going to see Turin Brakes do an instore concert at Fopp, and seeing Millwall take on Rochdale in the FA Cup. Upon my return from London, it was to Coleraine, to end the month with a rearranged game that should have kicked off the month. This match was never going to win the League for Linfield, but a win would have seen them move eight points clear of Coleraine (albeit with a game more played) in late September, which would have been a monumental statement to make in the title race, even at this early stage. They knew it wouldn’t be easy, as League meetings over the past two seasons were evenly matched, two wins each and four draws. Last season, they were perfectly matched, a 2-1 win for Coleraine, a 2-1 win for Linfield, then two successive 2-2 draws. In those 2-2 draws, the away team came from 2-0 down with two quickfire goals. This game was the first in charge for new Coleraine manager Rodney McAree. Surprisingly, he walked to the dugout almost unnoticed, giving a wave to the fans seated in the stand beside the dugout. To be honest, I was expecting him to take his seat before the teams came out, in an attempt to gee up the home support. Those that were there to see his debut saw an early corner for Coleraine evade everybody, while a Linfield corner saw Jamie Mulgrew hit a speculative shot over. About ten years ago, Mulgrew had a run of goalscoring against Coleraine, and because of this, shot at every opportunity. This looked like being another one of those days, as he had another similar effort in the half. Jamie McGonigle then had an effort saved by Roy Carroll, with nobody following up on the parry. Coleraine’s attacks were more convincing than Linfield’s, but while Coleraine were having more opportunities, Linfield were always getting bodies in the way. They needed to be. Coleraine had the better of things at the start of the second-half. Their attacks seemed to be a lot quicker than Linfield’s, but when it came to that final pass or shot, Linfield were able to avert the danger, with Jimmy Callacher having to block a shot after Roy Carroll parried out. Even though Coleraine weren’t getting many shots on goal, they were having too many attacking moments, that they were bound to get one right. It looked like that was going to come from a Stephen Lowry header, but it went wide. Jamie McGonigle then headed wide after a flick from Aaron Burns fell to him. He really should have scored. Linfield’s best attacking moment resulted in Daniel Kearns getting space to shoot, only to see his effort saved. It was clear that Linfield needed to look to their bench to liven things up. There was no Andrew Waterworth (I presume he was injured) which would have been the obvious change, especially with Michael O’Connor being on a yellow card. The only striking option was Daniel Reynolds. The realistic attacking options were Jordan Stewart, Stephen Fallon and Niall Quinn. It was Quinn who got the nod, replacing Kirk Millar. Having survived Coleraine pressure, Linfield were now applying pressure on their own, hoping to make Coleraine pay for not taking advantage when they were on top. It looked like that was going to happen when Josh Robinson headed towards goal, but his effort hit the bar, with Coleraine able to clear the danger. If either team were able to break the deadlock, that would surely win the game. It was one of those games. It looked like it was always destined to finish 0-0. There was late drama as both teams went about changing that. Jamie McGonigle got in behind Linfield’s defence, but his effort was saved by Roy Carroll just before the goalline. A lucky break for Linfield. Last season, it probably would have been cleared off the line but a goal would have been awarded. Oh, wait ……. Deep into stoppage time, Michael O’Connor had a shot deflected onto the post. The ball went slowly towards the goal. I dared to let myself to believe it was going in. 0-0 it finished, overall, a fair result. Neither side doing enough to win. Frustrating, as Linfield could have opened up a healthy lead over Coleraine. They did extend their lead over Crusaders by a point, but that comes at the expense of Glenavon now having the opportunity to overtake Linfield if they win their game in hand, which they took, beating Ards 2-0. I said last week that Linfield’s four point lead was deceptive due to other teams having games in hand, and the table can’t fully be assessed until those games are played. And don’t forget Glentoran, who will be one point behind Linfield if they win their game in hand, with the sides due to meet on 8th October, live on Sky Sports. That will be the second live game that weekend, with Crusaders facing Cliftonville on the Friday night as part of a new TV deal announced with BBC NI. Good to see. Hopefully, we’ll be watching that game with a further three points in the bag and another clean sheet. Top of the League with seven clean sheets out of eight and trips to Glenavon, Crusaders, Cliftonville and Coleraine out of the way. That will only be a good foundation if Linfield have title winning home form. That has to start next Saturday. October’s football watching began with Northern Ireland taking on Germany in a World Cup Qualifier. That was then followed by taking in Linfield’s defeats against Coleraine and Crusaders. This was a match that should have been played on New Year’s Day. Linfield were hoping that this match would kickstarted their 2018, four weeks later than anticipated. If Linfield take any longer starting this year, they might as well join the Chinese Super League. Glenavon and Cliftonville dropped four points in their games on Friday and Monday, which meant that Linfield could make up ground on the two sides above them with a win. While Linfield’s ambitions were to make up ground to try and climb into 3rd. Coleraine’s was a bit more lofty, looking for three points to go top of the League. It is Coleraine’s strong finish to last season which sowed the seeds for this season’s title challenge that is now what Linfield are aiming to replicate, rather than the Cliftonville 2014 model that did for them last season. Kirk Millar whipped a cross in the early minutes which had nobody end of it, while Josh Carson had a shot just wide for Coleraine. Ciaron Harkin’s cross evaded everyone and went out for a goal kick as Coleraine piled on the pressure. There was no immediate danger for Linfield, but the shots were tallying up. Far too many shots for Linfield’s liking. Darren McCauley had a shot saved by Gareth Deane, deputising for the injured Roy Carroll, while Kirk Millar tried to replicate his goal at Ballinamallard on the opening day of last season after a kick out by Chris Johns, but only managed to put his shot wide. Jamie McGonigle’s goalbound header was tipped over by Gareth Deane as it looked only a matter of time before Coleraine scored. That came when McGonigle finished after a quick counter-attack after Linfield lost possession. It was another poor goal to concede. The goal had been coming, and every time Coleraine attacked, it looked like they were queuing up to score. Even if Linfield had more defenders, Coleraine always looked likely to win out in the situation. Linfield survived and were relieved to only go in at half-time 1-0 down. They made a strong start to the second-half, with Ryan Strain and Stephen Lowry coming on for Andrew Mitchell and Kurtis Byrne. Kirk Millar looked the more obvious player to make way for Strain. Stephen Lowry was having an impact. 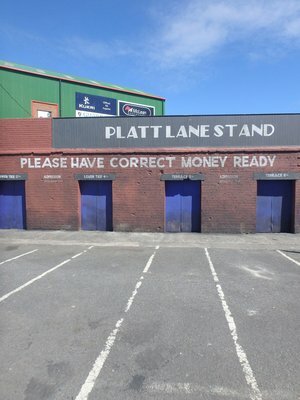 Linfield were now more creative and believable when they attacked. Andrew Waterworth thought he had equalised but his low shot was saved by Johns. Despite all their possession, this was Linfield’s best attacking moment. Soon after, Coleraine went 2-0 up when Ian Parkhill was played through and finished. It was another poor goal to concede, as Parkhill didn’t have to move a lot in order to get clear. The goal had come slightly against the run of the play in the second-half, and it looked like it secured the points for Coleraine. In the immediate aftermath of the goal, it looked like Coleraine were going to surge on and win 3-0, or possibly more, as their fans taunted David Healy with chants of “Sacked in the morning”, not that it was a realistic scenario. However, there was to be a late twist, as a cross from Niall Quinn was headed home by Andrew Waterworth with a few minutes to go to make it 2-1. It was the first real moment of attacking quality in the game from Linfield, and suddenly, it was game on. In February 2016, Coleraine led Linfield 2-0 at home in the first-half. When Linfield pulled it back to 2-1, Coleraine didn’t seem to fancy the fight. Looking at the body language of the Coleraine players after Waterworth’s goal, it looked like being a repeat situation. As the board for injury time made an appearance, Linfield had a free-kick out wide. Stephen Lowry overhit the free-kick, but unbelievably bounced off the bar and hit a Coleraine player and went in. Linfield had got an unlikely equaliser. It was hard to see who scored it from where I was, it didn’t really matter. If you care, it was credited as a Gareth McConaghie own goal. Various times this season, Linfield have conceded farcical goals and lost games they never looked like losing until they went behind. Now they were on the right side of ridiculousness. Seasons can turn on the strangest things. Hopefully, Linfield can now use this lucky break as a springboard for the rest of the season. When the equaliser went in, thoughts went back to a live Sky game in October 2012, when Linfield were deservedly 2-0 down before pulling it back to 2-2 late on, only to lose it 3-2 immediately. Thankfully, that didn’t happen. In fact, if the game last five more minutes, Linfield probably would have won it. If it lasted for ten more minutes, Linfield definitely would have won it. The draw didn’t help either sides League position. 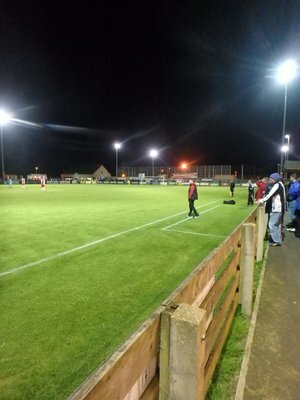 The draw will have cheered up Crusaders fans after they left Stangmore Park following their side’s exit from the NIFL Cup. You have to be a very special team to do a Clean Sweep. NIFL will have breathed a sigh of relief after that result, avoiding a fixture shitstorm that would have followed a Crusaders win, with them being scheduled to face Inverness away on the weekend of the Final. It’s a Final that will be played at Windsor Park. That looks like a lazy one size fits all option, due to the NIFL being backed into the corner by the short turnaround between the Semi-Final and Final. Crusaders v Cliftonville or Ballymena could have been accommodated at one of the participants home grounds, like in 2014. I could understand using Windsor Park for either of those two combinations though. Dungannon v Ballymena could be played at Seaview while Dungannon v Cliftonville could be played at Mourneview Park. Windsor Park being used for the Final means that Linfield now won’t be able to bring forward their League match against Glenavon if they have a free weekend due to Cliftonville reaching the Final. NIFL were praying that Ballymena v Cliftonville wasn’t postponed. It was. I’ll write about the fall out on that and the knock-on effect for Linfield in my Warrenpoint blog. Since I last wrote, the draw for the UEFA Nations League was made. Bad news for those wanting to visit Wales, but thankfully bad news for gutter press with no interest in football as Northern Ireland avoided Republic of Ireland. Unfortunately, we decided to arrange a friendly against them instead. How very underwhelming. Who we did get was Austria and Bosnia, representing a great chance of promotion. Austria away is very tempting, especially as you can do a Vienna/Bratislava double header, as there is only one hour between the two cities. Slovakia are at home to Czech Republic the day after Austria v Northern Ireland, but I would guess it would be a bit difficult getting tickets for that game. Definitely in the calendar is An Evening With Eric Cantona in October. I’ve already sorted myself with a ticket for that. Linfield have already begun the overhaul of their squad with Ross Clarke being loaned to Ards, Joel Cooper signing in the Summer and the arrival of Joe Crowe from Sandy Row. Yes, actually. That’s his name and that’s where he’s from. This match was followed by a 1-0 win over Newry in the Irish Cup. I wasn’t at it so can’t comment on it. It was a match disrupted in the second-half by a floodlight failure. Funny how there’s never a floodlight failure when Linfield are getting beat. In the Quarter-Finals, is a home tie against Cliftonville, who beat Crusaders. After that match, Crusaders manager Stephen Baxter spoke on Radio Ulster about how his players were cynically fouled and that the Fourth Official was influenced by the opposition bench. I’m not going to make any comment on any possible irony whatsoever. Cliftonville have scored four goals in each of their last two games, losing to the team at the bottom and beating the team at the top. There’s nothing to fear, we can beat them. We’ve got previous against them in Quarter-Finals, beating them at that stage en route to the Final in 1992, 1994 and 2016. It’s Semi-Finals against Cliftonville when the year ends in 9 that are a bit of a problem. We can worry about that next year. April began for me with a trip to Lurgan for the Irish Cup Semi-Final, to see Linfield secure a late 1-0 win over Dungannon Swifts. The following weekend was another 1-0 win for Linfield and just as important, a League win against Crusaders that blew the title race wide open. April saw the launch of a new mural in Belfast City Centre, in the Cathedral Quarter, which I went and got photos of. 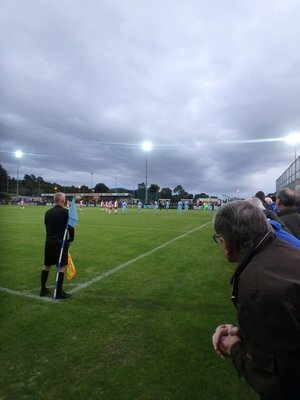 On Easter Saturday, I headed to Ballymena to see Linfield beat Ballymena 2-0. On Easter Monday, I cycled to Lisburn to get some Street Art photos from the City Centre. The following night, I headed to Windsor Park to see Linfield secure vital win over Glenavon. On the following Saturday, the football continued, heading Coleraine to see Linfield beat Coleraine and finally get to the top of the Irish League. Towards the end of the month, a mural of The Two Ronnies appeared in Belfast City Centre, so I headed out to get photos of this. The penultimate day of the month saw me head to Solitude where Linfield needed to avoid defeat in order to win the Irish League. It didn’t look good at half-time, but a Andrew Waterworth hat-trick in the second-half saw the trophy head to Windsor Park. Immediately after the game, there was a celebratory event at Windsor Park so that supporters unable to get into Solitude could join in the celebrations. Naturally, I was there getting photographs. The last time Linfield travelled to Coleraine, they had to win just to stay in the title race. It wasn’t quite the same situation this time around, although defeat wouldn’t have been fatal for Linfield, it would have given them a massive mountain to climb, chasing a Coleraine side looking for their first title since 1974. We didn’t get a 1970s throwback, but rather, a 1987 throwback, with a controversial winner that would have been the subject of much discussion between Ian St John and his good friend Ray Coyle. It was one two top of the table clashes on the milestone point of matchday eleven as 3rd place Glenavon travelled to 4th place Crusaders. Linfield in 2nd knew that there would be points dropped below them, they had to make sure that the only team above them would drop points as well. As clashes of shorts appear to be more strictly monitored in the Irish League these days, Linfield arrived in Coleraine wearing their white away top with white shorts, slightly resembling the Allies kit in Escape To Victory. Linfield just wanted to escape with victory. There were two noticable additions to Linfield’s starting eleven from their last League game, with Jimmy Callacher and Andrew Waterworth making their first League starts of the season, having both missed the start of domestic action due to injury. The first attack of the game came about in bizarre fashion when a goal kick from Roy Carroll was headed behind by a Coleraine defender as he tried to clear it upfield. It looked closer to a goal on the TV footage than it was in reality. For most of the first-half, Coleraine were restricted to speculative long range shots. Too many for my liking. If you keep inviting the opposition to shoot, they will get one eventually. Remember Solitude? Eventually, Linfield began to put some pressure on Coleraine’s goal, the closest they came was when a Niall Quinn free-kick was tipped over. There was another attack where Coleraine’s defence was stretched to the point that they had to concede a corner just to get some respite. The attack came about after a good advantage played by Anderlecht Arnie, refereeing this game, after a Linfield player was taken out at the start of the attack. Having got a decision right, Anderlecht Arnie then forgot or neglected to book the Coleraine player who committed the foul once the play had stopped. If only that was the worst decision he made in this game. For the rest of the first-half, Linfield were able to snuff out Coleraine’s attacks. The only moment of worry for Linfield fans came when Josh Robinson headed back to Roy Carroll. In the end, it was an easy catch for him. There was a big incident in the final minute of the half as Andrew Waterworth was fouled by Stephen O’Donnell as he raced towards goal. Linfield fans screamed for a red card. My own opinion was that the wide position would work in the Coleraine defender’s favour, and so it proved as only a yellow card was awarded. In the first-half, I was in the stand at the side of the pitch so didn’t get a clear view, and the incident was left off the BBC’s highlights. We’ll just have to wait and see it on Linfield TV, which is embargoed until Tuesday. A goalless first-half, mirroring the pattern of the game at Coleraine in April with Linfield having most of the ball and not doing much with it while restricting Coleraine to long range shots. Hopefully, the second-half would follow the same pattern as that game in April. Well, the early minutes did, as Coleraine took a lead when Brad Lyons headed home from a free-kick. It was a cheap free-kick conceded after losing possession cheaply. You know when you’re watching a football match and get a bad vibe before a set piece is taken? That. Just like in April, Linfield’s response was immediate with an equaliser coming in a more conventional method than a cross that got lucky, with Mark Haughey heading home from a Kirk Millar corner. Jordan Stewart and Brandon Adams were brought on from the bench as Linfield searched for a winner. They never looked like getting it, but neither did Coleraine, as both teams cancelled each other out, as the game meandered towards a draw. That was until injury time approached when Jamie McGonigle was played through, Roy Carroll came out to save the shot, got a hand on it but couldn’t stop it going goalwards, however, he got enough to slow down the trajectory of the ball, to allow Josh Robinson the opportunity to clear the ball on the line, and save a point for Linfield. To everyone’s amazement, a goal was awarded. I was at the opposite end of the ground, wear glasses, and could clearly see the ball wasn’t over the line. TV footage backed me up. How on earth did the officials make such a wrong decision? Controversy doesn’t just follow this ref, it stalks him. In the aftermath of this, the 4th Official held up his board to indicate five minutes of injury time, mainly due to an injury to Brad Lyons. We had then (at least) two minutes delay between a Coleraine substitution and David Healy being sent to the stand. Only one minute to the five was added. Not that Linfield looked like getting an equaliser, it would have been nice if they had the full amount of time to get it. Having failed to make the correct call on a major issue, you couldn’t really expect the officials to get a basic act of housekeeping right. There are questions to be asked of Linfield’s defending, especially as to how Jamie McGonigle was able to get so much space to run through on goal. The point is, Linfield’s defence retrieved the situation and cleared the danger. They were let down by incompetent decision makers. No doubt, there will be reactionary suggestions that we need VAR in the Irish League. We don’t. We just need competent officials. I’m not going to pretend that Linfield played well or deserved to win. They didn’t. A draw was a fair result in a game where both sides largely cancelled each other out. You obviously want to win, but a draw wasn’t a disaster. We might have dropped to 3rd, but Coleraine and Glenavon would have been catchable, and we’d have gained a point on Crusaders. Now, a seven point gap has emerged. It could be ten by the time Linfield play their next League game on Monday night. I would expect it to be a ten point deficit by the time Linfield face Crusaders as Coleraine head to Solitude. Cliftonville might have won their last four League games, three of games are games you would expect them to win. I’ll be surprised if Coleraine don’t beat them next weekend. Linfield might have overcome a nine point deficit last season, you don’t want to be giving teams a head start. There seems to be a Cliftonville 2012/2013 vibe about Coleraine where they took an early lead in the table, and gradually increased their lead in the table by a couple of points every few weeks. Suddenly, next Monday’s game against Crusaders at Windsor Park is a title eliminator rather than a title decider many would have predicted when the fixture list was drawn up. October has been a turbulent month for Linfield in recent years. We need to put a stop to that as soon as possible. You may remember the refereeing farce at Mourneview Park last season, and Linfield’s response to that with two of their best pre-Christmas performances in the week that followed. We’ll have to wait nine days to get it out of our systems. It might have been a good idea to have brought the County Antrim Shield match against Ards forward instead of back. But waiting is what we’ll have to do, and if Coleraine go ten points clear of us, that is the challenge and we must accept it. The next change in points difference has to be in our favour if we have ambitions of winning the League. Again, it was a poor result against a Top Six team. You can’t afford to be a flat track bully in a League where you play each other three to four times a season. This needs to be remedied as soon as possible, especially with Coleraine and Glenavon visiting Windsor Park in November. I was astounded to have a browse through the Sunday Life’s coverage of the game, where the reporter appeared to be more outraged by Linfield players not doing post match interviews than a high profile game being decided by refereeing incompetence. It was probably for their own good that they didn’t do interviews, as they’d probably be banned for bringing the game into disrepute. Talking of outrage, the match report seemed to focus on so called outrage about a Social Media post by Jamie McGonigle. Social Media offence is ever the basis of a news story and when you look at the replies, nobody is actually “outraged”. Talk about glossing over and missing the big issue. Meanwhile, Northern Ireland have since secured their place in the World Cup Play-Offs. They will play one of Croatia, Denmark, Italy or Switzerland. Avoid Italy, and you have a chance. Even if we do, it will still be a tough tie where we will be the underdogs. People got giddy with the September rankings. Northern Ireland needed to win both October games to stand a chance of being seeded. There was so much nonsense spouted last weekend, FIFA Rankings and UEFA Co-Efficients should be made a GCSE subject. When you look at the ranking of 2nd place teams, it is tight between 3rd and 9th. Ultimately, it all came down to last minute goals in June 2017. If Northern Ireland had drawn with Azerbaijan, they would have been the 9th place team and missed out. If Scotland had beaten England, they would have finished 2nd and Republic Of Ireland would have been that 9th team. If Republic Of Ireland had lost to Austria, they would have finished 3rd in their group. If Sweden had drawn with France, they would have finished 3rd in their group. It turns out, that was the pivotal matchday in the whole European Qualifiers. In fact, Republic Of Ireland have England to thank twice. If Adam Lallana didn’t score his winner in Trnava on matchday 1, Slovakia would have got that Play-Off place ahead of Republic Of Ireland. I presume all the Republic Of Ireland fans will be cheering on England in Russia next Summer as a thank you. It just goes to show how small the margins are between success and failure. As I said previously, all matchday 10 games should be played at the same time. If they were, imagine being a Slovakia fan, watching your own team’s match, Slovenia v Scotland, hoping that Scotland fail to win, then Ukraine v Croatia and Wales v Republic Of Ireland hoping on of them ended a draw. That would have been fun. This week, UEFA confirmed the divisions for the UEFA Nations League. As expected, Northern Ireland will be in Section B, AKA The Championship. It is a bit of a farce that Holland can fail to qualify for two successive tournaments and be in Section A, AKA The Premier League. Looking at the format, a team from Section D is guaranteed a place at Euro 2020. Azerbiajan, Belarus and Latvia have all been easily beaten by Northern Ireland in recent years. It is quite galling that Northern Ireland could lose out to one of them in Euro 2020. I guarantee that whoever qualifies from Section D will lose all their matches at Euro 2020. When you look at the rankings, Finland appear to have jumped into Section C with a drw against Croatia and a win over Turkey. They shouldn’t have bothered. They should have just lost both games and gambled on winning the Play-Offs. If they did, that would have had ramifications regarding who qualified from Group I, further emphasising the farce of this competition. If the UEFA Nations League is a farce, it certainly isn’t as big a farce as Coleraine’s winner.